The Mr. Belvedere TV show was a 30 minute family comedy series on ABC about the perfect English butler who became a maid, cook, cleaning person, and nanny for a typical middle-class American family. While they obviously cared for each other, the conflict between the way that the "stiff upper lip" butler and the "not so structured" Owen family presented lots of opportunity for funny situations. Title: "According to Our New Arrivals"
By: "Gary Portnoy and Judy Hart-Angelo"
here's a change in the status quo. The basis for Mr. Belvedere was a novel, "Belvedere", written by Gwen Davenport. There were also three Mr. Belvedere theatrical movies titled, "Sitting Pretty (1948)", "Mr. Belvedere Goes to College (1949)", and "Mr. Belvedere Rings the Bell (1951)". Three Mr. Belvedere pilots were produced during the 1950s and 60s in an effort to get a TV version of the novel and movies but no one bought any of them. George Spiro Dibie was Mr. Belvedere's director of photography. He won the only Emmy for the show in 1985 for the pilot episode, "Strangers in the Night". The other shows nominated in the "Outstanding Lighting Direction" category were "Night Court" and "Solid Gold". The Mr. Belvedere TV show took place in a suburb of Pittsburgh, Pennsylvania named, "Beaver Falls". Mr. Belvedere didn't work for the Owens family just to get a paycheck. At the end of every episode, he wrote down the Owens' life events every day in a "diary". He intended to eventually write a novel about them. Mr. Belvedere was actually canceled after its third season. The series had never made it into the top 30 shows in the ratings, but fans found out and ABC felt that there was possibly enough interest in the show to bring it back for a fourth season. The ratings never really improved so it's surprising that Mr. Belvedere was allowed to live for 5 1/2 seasons! When Mr. Belvedere was finally canceled for good, it was again done abruptly so there were eight episodes that were produced but were not broadcast. Their titles were: "Love Fest", "Donuts", "Runaways", "The Pageant", "The Baby", "Bad Marsha", "Home", and "Mumsy". Maybe ABC gave some credit to Mr. Belvedere due to the stiff competition that it had in its time slot. They included series like "The Twilight Zone", "The A-Team", and "Knight Rider". Fans were pretty upset about the sudden disappearance of their show. In order to "throw the fans a bone", ABC aired a two-part finale that wrapped up the series. It aired seven months after Mr. Belvedere's last episode was broadcast. Fans got to see Mr. Belvedere get married and move away to Africa! 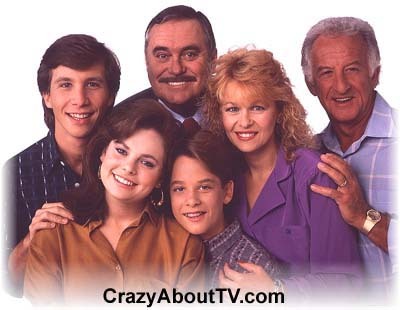 Thank you for visiting our Mr. Belvedere TV show page!